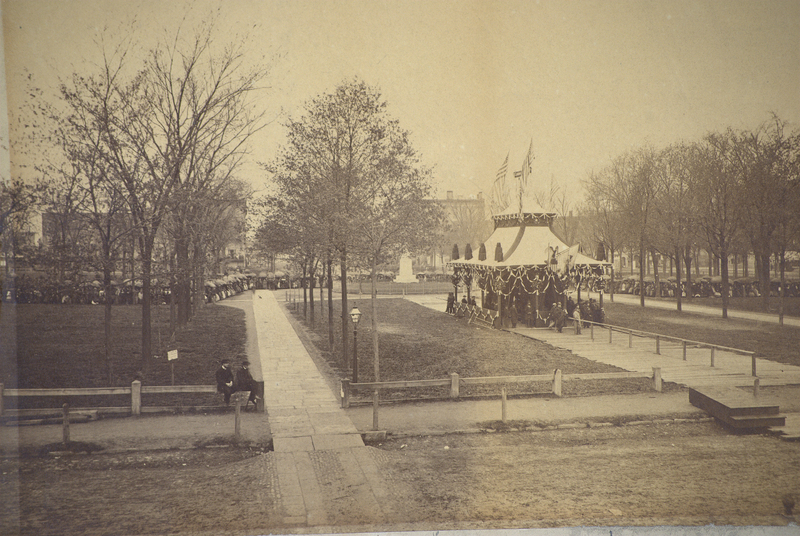 Mourners, holding umbrellas, line up in drizzling rain on Cleveland's Public Square on April 28, 1865 to view the open casket of the body of Abraham Lincoln, displayed on an elaborate catafalque. It was estimated that over 60,000 people viewed the body of the slain President that day. The casket had been processed down Euclid Avenue from the Willson Avenue ( East 55th Street) station of the Cleveland and Pittsburgh RR prior to being installed at Public Square.